Yesterday I attended a day-conference with multiple church planters from the Philly region. Our Church Planter Community gathers monthly to discuss issues germane to Northeast gospel-driven culturally apropos church plants, to pray, and to have round-table discussions with planters about particular struggles they may be facing. It is a highlight of my time here in PA, to be sure. At the community, Rob Burns – Pastor of Realife Church in Philly (SBC) spoke to us about his neighborhood church plant in the Bridesburg neighborhood of the city. Much I could say about his presentation/case study… but I pass on to you only my renewed passion to have a West Valley church plant that sees the west side of the Lehigh Valley as our Jerusalem wherein we are called to contextualize the gospel AND live our lives. 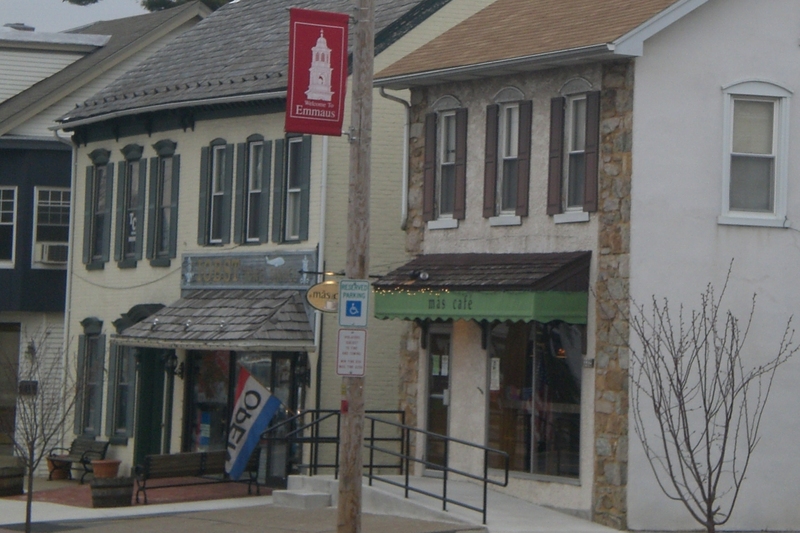 In fact, who knows what the Lord has in store… but the day before Rob’s presentation, I became aware of an office space in our town of Emmaus that is on the mainstreet drag. Right on the triangle. Walking distance from my house! It is in the ideal spot in our neighborhood to have a church presence. I’ve even spoken with Ray, the owner of the sweet new coffee shop, Mas Cafe, about how we might try to settle an office two doors down and then bring him an insane amount of business. Are there any church meetings any more that aren’t in good coffee shops? Kidding but serious. I can’t get out of my mind where I should walk and talk all the days of my life here in the West Valley. I know that God has called us to a target area of 40,000 people (East Penn). I know that he has already dropped people throughout that region that we might have a multiple-neighborhood presence. I hope and pray we will have a worship location more in the heart of Lower Macungie (have to know our geography to understand). But I am going nuts thinking about the life change and accountability increase (surreal really) that would come if we had a church office in an old mainstreet retail space next to the coffee shops, across the street from the pub and on the very route that hosts community parades and Christmas tree lightings, etc. In fact, yesterday while in the “two door down” Mas cafe, I studied amongst 5 high school kids working on a project, 2 college students studying, and about a dozen other people in and out. That alone means nothing… except that there is a spot in our target where people just hang out. Why not have a presence there! If God has put it in his story for us to lease that office space for the church plant – it would most certainly heighten our/my responsibility to be a neighborhood pastor of a church committed to bring the gospel to the people among whom I walk and talk every day (ahem, as I would walk back and forth from my house to the office). O God, your plan alone. Fog my dreams if I am not praying for neighborhood engagement with your life-transforming gospel more than I am hoping for a hip office next door to nice-smelling coffee beans.